Meet Jon! He’s part of our Intake Team here at NYQUEST Camp Canada. Jon was born and raised here in Toronto, living out in the suburbs from childhood all the way through to university. After moving away for a brief four years to study at the University of Guelph, he found himself back in Toronto to complete his Masters of Arts in Political Science and Public Policy at the University of Toronto. Jon officially joined the NYQUEST Camp Canada team back in January 2018 and has been our team’s very own coffee addict and barista ever since. Here’s a glimpse of what Jon gets up to on a daily basis while in the office and out of the office. 1. What does your day to day look like? On a normal day, I’ll spend most of my time calling and emailing participants about various parts of the program! From reminders about criminal and medical checks, to helping people decide if the program is right for them, I help people make their way through the entire application process. Recently, I’ve also been spending a lot of time running orientations for incoming participants here in Canada! 2. What is your big focus at the moment? Right now I’m focused on making sure everyone has the correct documentation for their position at camp, and double-checking that no one is missing anything. 3. Describe working at NYQUEST in three words. 4. What’s your most memorable NYQUEST Camp Canada moment? Running a few orientations sessions by myself in Montreal! 5. What is your favourite hobby? Though I don’t get to do it as often as I’d like, I’m an avid canoer and I love spending time out on the water every summer. 6. What do you get up to in your spare time? I spend most of my time reading, hanging out with friends, and taking French lessons. 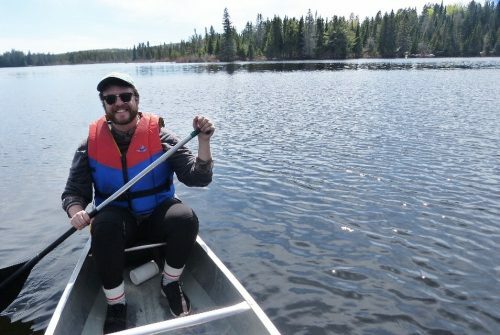 When the weather is nice, I try to spend time outdoors camping or canoeing, making the most of Canada’s wilderness! 7. Tell us something that people might not know about you. I played 5 different musical instruments when I was growing up!